RISK ASSESSMENT - BJAAM Environmental Inc.
At the forefront in the implementation of risk based closures and corrective actions, BJAAM specializes in the development of site-specific clean up levels, has provided regulator education and assisted numerous governmental agencies in the development of risk based programs both within the State of Ohio and other locations world-wide. Examples include the Ohio Environmental Protection Agency (Ohio EPA) and the governments of Argentina, Brazil, and Puerto Rico. Due to the continually evolving environmental technology, regulatory agencies and their related program disciplines have recognized risk assessment as a viable alternative to physical site remediation. 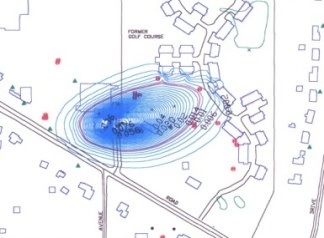 In conjunction with site-specific risk assessments, BJAAM professionals perform groundwater fate and transport modeling to reduce remediation costs at potentially contaminated properties. BJAAM provides expertise in chemical natural attenuation, contaminant transport, predicted contaminant loading, plume migration, geochemical fingerprinting, and leaching studies. 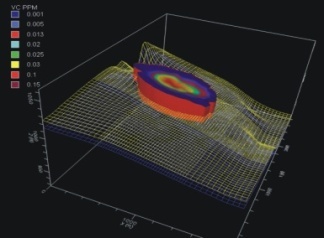 In addition to groundwater fate and transport modeling, BJAAM has extensive experience in indoor air modeling, soil contaminate leaching modeling, and data validation and management.